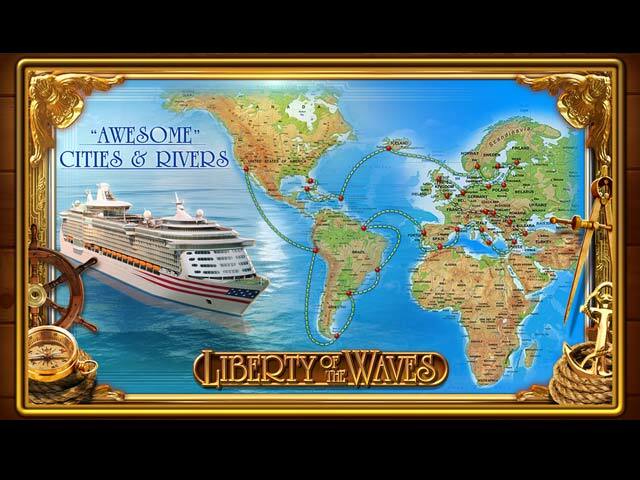 Come aboard and enjoy the Cruise of a Lifetime aboard the fleet’s super luxurious flagship, USS Liberty of the Waves. As Cruise Director you will arrange fabulous excursions in the Caribbean, Europe and South America. On your travels visit amazing tourist sights and landmarks in cities such as London, Edinburgh, Barcelona, Vienna and Istanbul. Spend time relaxing in the Virgin Islands and travel across Europe on the world’s most luxurious train, the famous Orient Express. Help passengers with cabins, shopping, dining, and leisure on board and at ports of call. 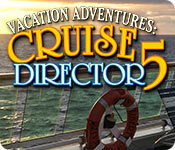 Vacation Adventures: Cruise Director 5 guarantees truly captivating gameplay for families and all ages to enjoy. Vacation Adventures: Cruise Director 5 is rated 4.3 out of 5 by 48. Rated 5 out of 5 by marilynb58 from Finally a game that isn't so dark! I love the Hidden Object games and have purchased a few. So many have such dark titles and graphics that I lost interest. Please give us more like the Cruise Directors or Park Rangers. So much negativity in this world, last thing we need it is in our entertainment!!! Rated 5 out of 5 by missmerrily from Another winner I've read some negative reviews about the mini-puzzles in this game, but for me they are one of the things that draws me back, time after time, whether it's Cruise Director or Park Ranger. The only puzzle I consistently skip is lining up concentric circles. Never did get that one, but it's not a feature in this game anyway. So, did it live up to expectations? Absolutely did. It's sort of like a predictable old bad habit, but the minute the new game gets released, I'm in there. And I'll replay it, as with all the others, several times. Some of the scenes were a little more challenging this time, but that's OK. I have a sort of guilty pleasure with picking up the trash. I always feel it shouldn't really be there and that it could encourage littering in real life, but I still love whanging those items into the recycling! As usual, just like a real cruise, it was all over so quickly, and now here I am waiting for the next episode to be released. Bring it on! Rated 5 out of 5 by clbell2006 from Love these games Love this game, all of them. None of them have disappointed. Rated 5 out of 5 by hogfish from Best Cruise Director yet...and request for Big Fish Love all the multiple hidden locations, scenes and music in CD 5. I'm a senior and love all the Vacation Adventure games..own all the Park Rangers, Cruise Director, Christmas Wonderlands, location HOGS, etc. Would love more of those type and if you could create a series collection of them like you have other HOGS...(which are all dark and creepy for some of us LOL). Make it easier to find what light, relaxing games are available and new without having to search the long list of all of the HOG games. Thanks for listening!! Rated 5 out of 5 by techblogger911 from Must Buy! 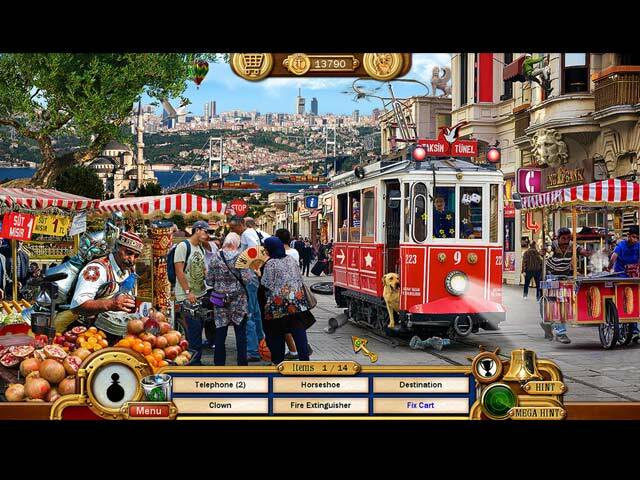 Do you like hidden object games? Do you want to try the game as demo before purchasing it? Well Then you are headed towards the right direction. People from many age groups can enjoy this game, kids or adults. Rated 5 out of 5 by HOGeek from Sail Away on a Hidden Object Cruise! I just finished playing the fifth game in this great series, and really enjoyed it! This installment features exotic locations and a lovely, pleasant soundtrack which matches the locations the player searches for hidden objects. A true treat! Rated 5 out of 5 by Janetto from Pure Fun This game is pure fun. Beautiful cheerful colors fill the screen while soft music plays in the background. Lots of hidden objects to find (my favorite part) and puzzles in between. There's nothing depressing, evil, or morbid about this game -- it's purely lighthearted and a great way to relax. I look forward to this series as well as that of the Park Ranger and the Christmas Wonderland -- all winners!!! Rated 5 out of 5 by Pollysweet from They keep getting better This latest Cruise Director has a high engagement level. Great story, great graphics, just an all-around great game. Rated 5 out of 5 by crayzeate from Time to Cruise! I was so excited to see the next chapter of Cruise Vacation! No demo for me--added it right to the collection. The challenge now is to make it last! Someone said this game seemed longer, and I hope that's the case! Love cruising with the recurring characters and exploring the different areas of the ship and ports of call! I do skip some of the minigames now and then--especially the tile puzzles which can be very tedious.